The second generation. That was fast. We just reviewed the Sony Xperia Z1 seven months ago – and we already have the successor in our editorial office: the Xperia Z2. Why an update for users of the predecessor does not make much sense, and why Sony still offers a great smartphone, is revealed in our review. Sony Xperia Z3 vs Xperia Z2 comparison review: What's the difference between the Xperia Z3 and Xperia Z2? The differences between these two devices are pretty minimal. You definitely won't want to cough up for the new model if you already own the Xperia Z2, and you'll save more than £100 without missing out on much if you opt for the older model, but the Xperia Z3 is a cracking device that boasts impressive power, a brilliant camera and a light and thin design that'll please many. I really like this phone. In fact, had I not recently purchased the G3, and the Z2 was available on AT&T, it might be in my pocket. I can live with the big port covers and the sometimes finicky camera, as the whole package is still very appealing. Of course, if it were in the market this second, I'd struggle with buying the Z2 and waiting for the next Xperia flagship, coming this fall. The Xperia Z2 is currently selling for Rs 44,500 via online stores. The retail package includes the SmartBand SWR-10 worth Rs 6000. Thanks to the Snapdragon 801 chipset, the phone is great for gaming. This premium handset is resistant to water and dust. On the flipside, the in-call sound is quite muffled due to waterproofing. Although significantly better than its predecessor, the Z2's screen still lags behind the competitors. The 20.7 megapixel camera doesn’t live-up to the hype. Hard to believe, but the heavily promoted 4K recording feature hardly works. So while the Xperia Z2 is a good phone with some strong areas, the LG G3 is still the best all rounder in the market. The phone that opened the season of flagship debuts and the one that makes it a full circle. If done right, a full circle in this business is a level up on an ascending spiral. It looks like LG did it right, to find themselves perched at the top in terms of screen resolution. Then again, Sony of course will tell you that a QHD screen can't buy you love. Although the Sony Xperia Z2 is a solid smartphone, the LG G3 comes in with newer and better technology – namely the stunning Quad HD screen – at a lower price point and inside a sleeker designed body. The LG G3 is a clear winner here. All things considered, there's a reason why Sony's been doing so well lately. The Japanese are looking extra solid in the midrange - and that's admittedly an HTC weak point. With that kind of backup from the ranks, Sony's new 6-month release cycle doesn't look like a gamble. Theirs is the standard-setting mini version of a flagship too. OK, that's a good few things HTC can learn. But with the HTC One (M8), it is still perfectly able to prove that building a proper flagship isn't one of them. In the end there's no need for a sign pointing glass design fans one way and camera buffs the other. The Sony Xperia Z2 and Samsung Galaxy S5 have more in common than their predecessors ever did. We know how that battle went on a market level, but this year, on a personal level, the choice between the two comes down to the most subtle of personal preferences and taste. While the Xperia Z2 is a rounded, capable smartphone that’s solid across nearly every area, it lacks a killer feature that makes it stand out from the crowd. Honestly, we couldn't find a single thing that the Z2 couldn't handle with aplomb, but at the same time it doesn’t do anything significantly better than the rest of the high-end pack. The Z2's design is great, but the One M8’s design is better. The display is great, but the Nexus 5 edges it out if ever so slightly. Even the camera is great, but it’s not leagues ahead of the Galaxy S5. 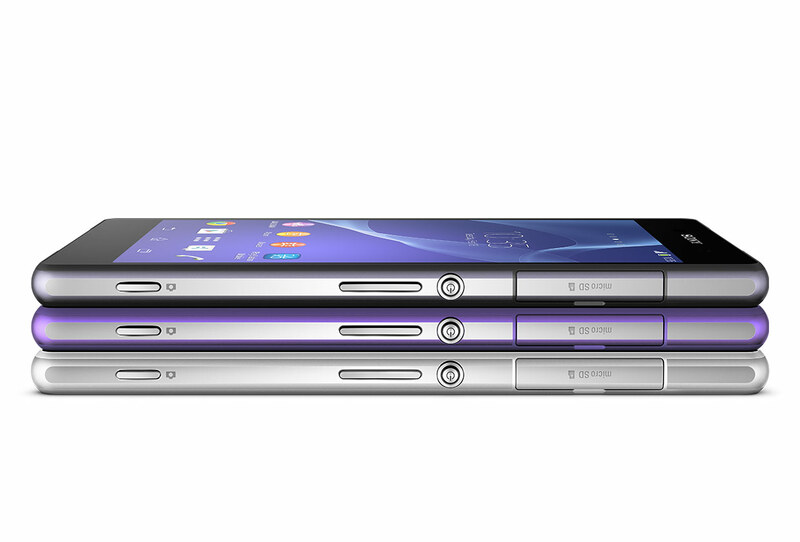 The best way to define the Xperia Z2 is that it smoothens the rough edges on the Xperia Z1. It’s by no means a revolutionary product but with 6-month product cycles, Sony never intended it to be one. But what a good job has Sony done fine-tuning a product that started its journey with the original Xperia Z. The Sony Xperia Z2 has everything that defines a flagship product and then some. Simply put, I find it as the best Android smartphone that is currently available. Look, the Z2 isn’t for me, but not really because of intrinsic flaws – camera disappointment aside, it’s more personal preference over design. I know many people who have picked the Z2 up and love it to bits. Maybe you’ll be one of them? Don’t hang around for the Z3, though, I think Sony is probably ‘done’ on this design now. If, like me, it still doesn’t grab you, then best wait for an entirely new series, with different design language – Xperia Y, anyone? Or would Sony wrap around to Xperia ‘A’?! There’s a lot of strong competition in the 2014 smartphone race, but Sony has managed to produce one of the strongest entries you can consider, with a beautiful screen, excellent performance, and a camera is a serious contender for best smartphone camera of the year. We had too much fun reviewing the Z2, especially thanks to the camera, which helped to cement the Xperia Z2 as one of our favourite handsets all year. Personally, we’d prefer a slightly smaller device, and when Sony inevitably migrates these features to a smaller handset as it did in the Z1 Compact, maybe then we’ll have found the perfect compromise, but if you don’t mind as big phone, the 5.2 inch Sony Xperia Z2 is an excellent phone, and gives other phones a good run for their money. Sony has launched the Xperia Z2 at Rs 49,990. With this, they are also throwing in the SmartBand and a flip cover to sweeten the deal. While this is definitely a much better package than what the others are offering, we feel the price is bloated and here’s why. The Xperia Z1 launched for Rs 42,000 in September last year and is now available for roughly Rs 37,000. The Z2 is only a mild refresh which makes us wonder if Sony has already added the price of the SmartBand and cover to the launch price, while making it out to be a ‘freebie’. If you’re currently toting an Xperia Z1, there’s not much point in shelling out for Sony’s latest Z2, but it’s easily worth a look to see what you’re not missing out on. For anyone else though, the Z2 offers a slick, no-nonsense design, solid performance, an incredible camera and the extra boon of waterproof powers. This is easily a top-drawer recommendation that’s in the same class as the HTC One (M8), Samsung Galaxy S5 and iPhone 5s - but you may want to look elsewhere for a whole lot more character. Whatever Sony's doing, it seems to be working. The third iteration of its top-end Xperia Z model is the slickest yet, with all the features that anyone today might care about, in a package that is as understated as it seems possible to create. This is undoubtedly one of the most satisfying phones to own and use. The Z2 doesn't stick its neck out with anything groundbreaking, but it is probably the most well-rounded of the three (and Sony's launch offers don't hurt either). It's hard to pick between them, so you'll have to decide based on personal preferences. 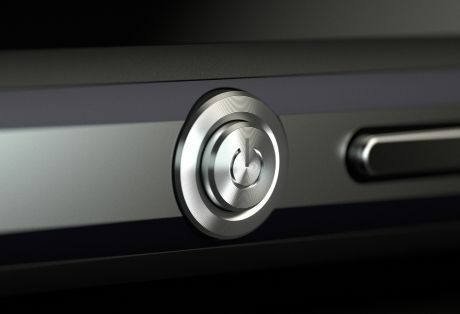 We're happy that Sony has delivered such a strong contender - Samsung definitely isn't the only game in town anymore. On paper alone, the Sony Xperia Z2 appears to lead the pack. With an extra gig of RAM over the competition, a promising stills- and video camera that lets you display 4K footage on your 4K TV, one-touch sharing, listening, mirroring and backup via NFC, a gorgeous screen, excellent dust- and waterproofing credentials and the largest-capacity battery prior to the existence of any power-saving mode, Sony is surely on to a winner with the Xperia Z2. The Samsung Galaxy S5's fingerprint scanner and heart-rate monitor also impress, as does the HTC One M8's Duo Camera, but none is on our list of priorities. In appearance, the Z2 looks almost identical to its predecessor. Although it's a little taller, the device is actually thinner and lighter but only marginally. 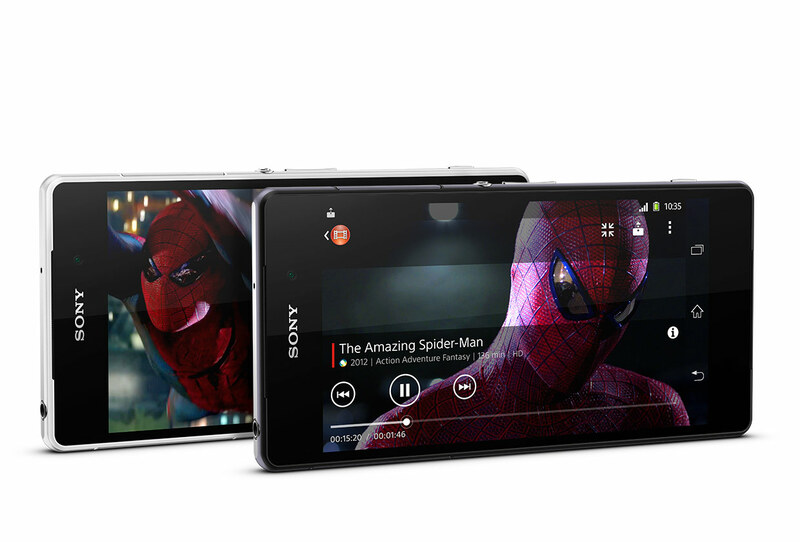 Sony retains a premium finish by using a combination of aluminium and glass. As with previous models, the Xperia Z2 is both dust- and waterproof. Although not much has changed from the Xperia Z1, the Xperia Z2 is another solid effort from Sony. The smartphone is a good all-rounder with a great screen, camera, build quality and performance. We just wish it wasn't quite so bulky. The Xperia Z2 is a fantastic all-round Android handset. We love the design and durability as well as the Sony's decision not to overload Android with a custom skin. Performance is top-notch thanks to the high-end components. With a SIM-free starting price of £550, the Xperia Z2 is premium. It's available free with 24-month contracts starting at £42 per month. Featuring one of the best camera sensors we've experienced within the Android ecosystem, a distinctive, but tough design and offering cutting-edge, top-end performance, the Xperia Z2 is one of the best smartphones currently available. The only drawbacks keeping the device from winning V3's hallowed five-star rating is the Xperia Z2's good, not great, display and purely consumer-focused Android skin. Did you like last year’s Sony Xperia Z1 smartphone? It looked handsome, felt good and performed well, with a great camera and impressive waterproof features. The Xperia Z2 is all that the Z1 was but better. The screen is a big improvement, the performance is increased, the headphones now have great noise-cancelling capabilities. This is an excellent phone. Of course, if you didn’t like last year’s model, you may want to look elsewhere. The Sony Xperia Z2 is certainly an improvement on the Z1, but even its huge battery life can't shake the feeling that most of its enhancements are minor updates rather than substantial steps forward. Compared to the Samsung Galaxy S5 and HTC One (m8), the Z2 can't quite cut it. It still has its merits, such as the waterproofing and Sony's straightforward take on Android, but for us the stylish metal HTC One, and more decisively the Galaxy S5, are ahead of it. Picking between this year's top Android phones is pretty difficult. Their core specs are extremely close and this time around the Galaxy S5, HTC One M8 and Xperia Z2 all have microSD slots. There's nothing too obvious to pick between them. The Xperia Z2 is a great phone in most respects. It has a very good camera and outlasts the competition without compromising the experience. However, it is a bit awkward to use at times and gets hotter than the other top phones when under strain. Of the 2014 flagships we’ve seen so far, the Xperia Z2 is the connoisseur’s choice. This is a true converged gadget that’s capable of taking brilliant photos and playing videos at cinephile quality, but also one where practicality has taken a backseat. So, while it might not be for the Reddit-obsessed, constantly connected, live-to-social-network geek, it’s ideal for the person for whom quality is the only measure that counts. If you have the time and inclination to show this Sony some love, it will return it in spades. The main issue I have with the Sony Xperia Z2 is there's nothing to really get excited about. It's a great all rounder, but there's no curve ball to keep things interesting. Its premium design nudges it ahead of the Galaxy S5, while its highly capable camera beats the One M8 hands down. If you're looking for an all round top performer (4K video issues aside) the Xperia Z2 is a great jack of all trades. Just don't expect it to do anything out of the ordinary. I typically have headphones on when I'm home in New York, whether it's during a jog or a commute. I often crank the volume up, at the risk of hearing loss, so that I could hear my favorite podcasts over loud subways and honking cars. I was excited to see noise-cancelling technology in Sony's new Xperia Z2 smartphone. I've resisted investing in pricey noise-cancelling sets because I'm prone to lose or break them. If it's going to be built into a phone, perhaps I can use that instead of my iPod. The Sony Xperia Z2 is an impressive device but since the Z1 has only been around for a few months not a great deal has changed. It feels like Sony should have waited a little longer and brought something truly new. 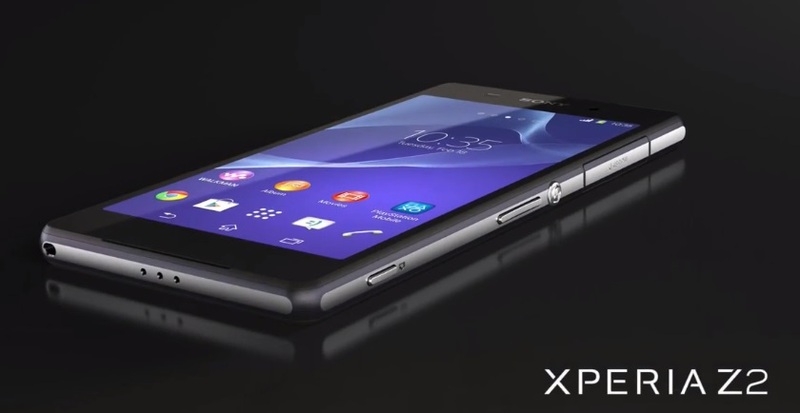 The Sony Xperia Z2 looks set to be a worthy successor to the Z1. We like the improved screen and we were also particularly impressed by the boosted video capabilities. The addition of 4K video capture, while it may not be that useful at the moment, is a statement of intent and also a neat piece of futureproofing from Sony. Stay tuned for a full review. 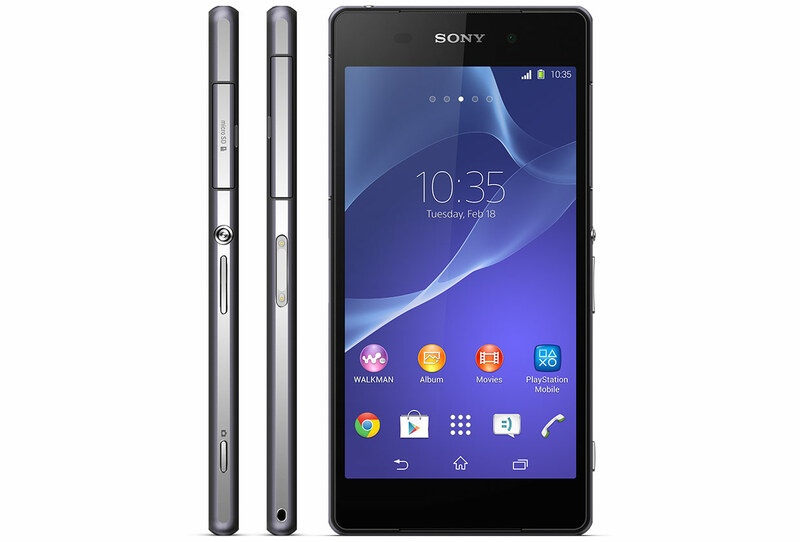 The Sony Xperia Z2 is a phone that exists because of a need to compete. Samsung and HTC are going to launch a new phone, so Sony has to as well. As it arrives just six months after the Xperia Z1, upgrades are – predictably – minor. You'd be mad to consider paying to upgrade to this phone from an Xperia Z1. However, its slight spec upgrades make it the slightly better phone. The Sony Xperia Z2 is a phone that can be viewed in two ways. On the one hand, it's an excellent upgrade over the Xperia Z, and features all the top end technology you could want in a very premium-feeling chassis. On the other, it's too much like the Xperia Z1, which is only a few months old – albeit a much better version. I'm still not a fan of all that bezel above and below the screen, nor am I confident the camera will be excellent in low light. But for a flagship phone, Sony has made a very well thought out device that ticks nearly every box you can think of, and then some. The Xperia Z2 is an incremental upgrade from the Z1. With it, Sony delivers their best smartphone to date and fixes most of the Z1's issues. Not all of them, but nearly. And that proves that they listen and work on delivering us, the buyers, better and better devices. Chapeau! Positive: Pretty impressive design; compact size; light; waterproof; excellent display; good performance; 4G network. Negative: Mediocre battery life. 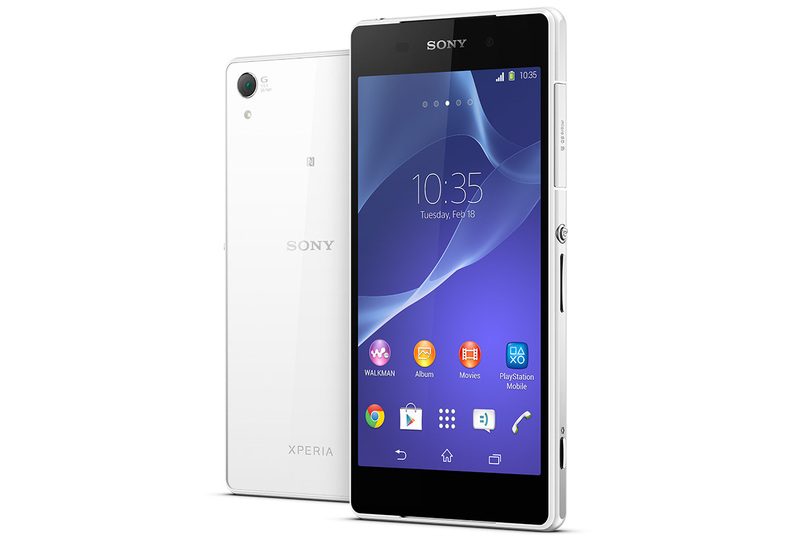 The Sony Xperia Z2 is a flagship phone for Sony which paves the way for the next generation of Sony phones. The price tag on this phone is priced roughly at the same as its direct competitors. Its exterior is very similar to its predecessor, the Sony Xperia Z1, but has more robustness and toughness. The Xperia Z2 comes with an IPS LCD touchscreen with 16M colors sized at 5.2 inches. With a 1080 by 1920 pixel dimension, the Xperia Z2 boosts a pixel density of 424 making it one of the best phone screens out there. As a nice little side benefit, it supports up to 10 fingers multi-touch. Another great thing about the Xperia Z2 is its camera. 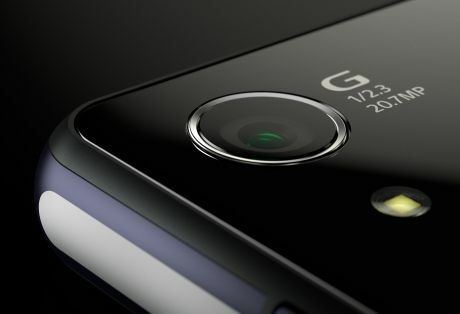 The 20.7 MP camera means that HD videos up to 2160p can be recorded with this phone. A vital part of smartphones is its connectivity and the Xperia Z2 does not lose out. It supports HSPDA and LTE as well as the basic 802.11 WiFi and Bluetooth 4.0. Although it comes with Android Kit Kat OS and Quad-core 2.3GHz Krait 400, there have been some reports of the phone being rather sluggish. Sony has always been about quality and the Sony Xperia Z2 does not disappoint. Having great specifications and features, the Sony Xperia Z2 will, without a doubt, make a great impact on the world of smartphones. 87.61%: This is a good rating above average. Nevertheless you should not forget, that 10-15% of all notebook-models get a better rating.